On December 9, 1987, the deaths of four Palestinian refugees plunged the nation of Israel into four years of strikes, boycotts, beatings, shootings, and gassings as Palestinians in Gaza, the West Bank, and East Jerusalem rebelled against their Israeli occupiers. 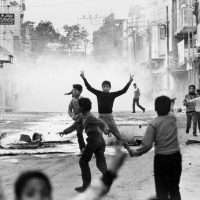 When Palestinian fighters attacked with stones and Molotov cocktails, killing military personnel and destroying the nation’s infrastructure, Israeli soldiers responded with a devastating campaign of retribution and repression. 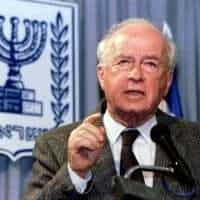 At one point, Defense Minister Yitzhak Rabin infamously ordered his soldiers to use “force, might, and beatings” in order to subdue the Palestinian rebels, earning him a reputation as the “bone-breaker.” After thousands of deaths, the Intifada (Arabic for “shaking off”) ended at the Madrid Conference of 1991, but tensions festered and erupted in a second Intifada nine years later and violence continues to this day. In an interview with Charles Stuart Kennedy beginning April 1998, Philip C. Wilcox Jr., who was Deputy Assistant Secretary in the Near East Affairs Bureau at the time of the Intifada and later was Consul General in Jerusalem, discusses his memories of the uprising, his work with Palestinian and Israeli leadership, and his regret that the tragedy did not engender a more stable, more peaceful political environment. Go here to read other Moments dealing with the Middle East. WILCOX: During the Intifada, a young Israeli reservist at a bus stop near Tel Aviv killed a group of Palestinians and serious rioting broke out in Gaza. Israeli forces responded in an excessive and heavy-handed way, killing seventeen Palestinians. Palestinian emotions, already running high in the midst of the Intifada, grew even more intense. The local leadership was already involved in a hunger strike against Israeli policies. The PLO [Palestine Liberation Organization] introduced a resolution in the UN Security Council condemning the use of excessive force by the Israeli forces. I recommended that we engage in negotiations on this resolution rather than veto it as we were increasingly doing…. Our policy was to oppose the use of excessive force against the Intifada in violation of recognized human rights standards. We were also working to defuse the conflict and to encourage the Palestinians to consider a political solution. I reasoned that a veto would further reduce U.S. influence among the Palestinians and undermine our efforts to get the Israelis to pursue a more sensible response to the Intifada. My recommendation for an abstention was not welcomed in Washington and the U.S. cast a veto in New York. The upshot was that the local Palestinian leadership in the West Bank and Gaza decided to boycott further official contacts with the U.S. officials, including the consulate. This was a foolish, counterproductive move on their part, but it demonstrated their sense of anger, despair, and powerlessness. Sometime later while on consultations in Washington, John Kelly, the Assistant Secretary in NEA [Bureau of Near Eastern Affairs], who had earlier urged me to give my best advice to Washington, told me, by way of cautioning me, that Robert Gates, the then Deputy National Security Adviser in the White House, had said that “Wilcox has gone off the deep end.” I surmised that my recommendation for an abstention in the Security Council vote, which I thought I had presented in a thoughtful way, taking into account my long experience in Washington dealing with U.S. votes in the UN, was regarded as a radical proposal. We were frustrated by the tendency of the Palestinians, with the help of some of the Europeans, to go to the Security Council every time there was an issue that should have been addressed through negotiations. We had been trying for years to promote negotiations on the Palestinian issue, but were making little headway with either the Palestinians or the Israelis. The Israelis would not recognize the Palestinians, much less the PLO, as their negotiating partner. The Palestinians expected the U.S. and the international community to do their negotiations with Israel for them, and the U.S. at that time would not deal with the PLO, whom all Palestinians regarded as the address for negotiations. The tendency of the Arabs and the Palestinians to run to the Security Council every time they had a serious grievance, combined with domestic pressures in the U.S. to veto all UN resolutions critical of Israel, tended to increase alienation between the U.S. and the Palestinians and their Arab friends. I always thought we should have used the Security Council more creatively, with our influence and our leadership, to craft resolutions in the Security Council which would go beyond sterile Israel bashing and help the situation. Instead, the policy in Washington was that when it came to Security Council resolutions on the Israeli-Palestinian conflict, we should not negotiate and that the “worst” draft resolutions were the “best” because they were easier to veto. The Intifada began in November 1987, with riots in Gaza and in the West Bank city of Nablus sparked by the deaths of Palestinian youths in confrontations with the IDF [Israeli Defense Forces]. It spread spontaneously, with strikes, marches, barricades, and stonings of Israeli forces. In a matter of months a full-scale mass protest movement emerged, led by a clandestine Intifada leadership dominated by the PLO Fatah faction. Protesters had no firearms, but used stones against the IDF. The leadership also issued regular leaflets which contained propaganda and calls for strikes, boycotts against Israeli products, and the withholding of Palestinian day laborers from work in Israeli factories and homes and fields. The leaflets contained a lot of rhetoric, as well as the core of the Intifada’s ideology and tactical advice to the Palestinians. We read these documents with great care and reported them. The Israelis were caught by surprise, since the Palestinians had been relatively passive since 1967, and had never before mounted a sustained protest movement. The IDF was forced to deploy many more Israeli troops in the West Bank and Gaza than they ever had in the past. Its strategy was to respond with major force, for fear of being seen as weak, instead of ignoring the riots and letting them play out, which would have been a sounder strategy. Thousands of young Israeli conscripts and older reservists found themselves involved in street battles with stone-throwing Palestinian kids. The IDF saw themselves as a fighting army and they were cast in this new role as policemen to put down street riots. They were unprepared. Although the policy was to use live fire only in self-defense, the death toll from live fire grew. Many Palestinians were also killed or wounded by rubber, steel-cored, bullets that were widely used. The IDF also used beatings, curfews, massive arrests, and the confinement of people in whole villages or areas, a form of collective punishment. Rather than subduing the Intifada, these Israeli practices intensified it, and the IDF was put, increasingly, on the defensive. The uprising had a profound effect on Israeli public opinion which in the past has assumed that the occupation could be maintained without much effort and that the Palestinians had been subdued. Now they were sending their sons and husbands to subdue Palestinian teenagers and they found this troubling. The troops themselves disliked the new role they had been cast in, and a process of soul searching about the occupation began. At the same time, the Palestinians began to sharpen their propaganda and to articulate more carefully their cause to sympathetic Israeli journalists and to the Western media. The Western press reported on the Intifada intensively and the specter of heavily armed Israeli armed forces beating up unarmed Palestinian youths created a lot of sympathy in the United States and Western Europe for the Palestinians. [As a result of] this renewed interest and attention to the Palestinian cause, many for the first time saw the human dimension of the occupation and all its anomalies. In Israel, people began to ask how the occupation could be sustained and the peace movement and political ferment grew. Some Israelis advocated harsher crackdowns on the Palestinians, but many others said this [was] an untenable [price] for a liberal democracy to pay in terms of repression and violation of human rights. [They] began to advocate a political solution. The Palestinians themselves gained a new sense of pride. [They] gained new respect and increased understanding in the world, where they had often projected a negative image. This external recognition, plus the fact that the Palestinians had for the first time stood up to the Israelis, gave the Palestinians a new sense of confidence and, in return, realism and honesty about their situation with the Israelis. That the Palestinians in the West Bank and Gaza took the initiative in the Intifada without prompting or direction from the external PLO added to their sense of confidence. As a result, Palestinians began to talk among themselves and to us about recognizing Israel and a negotiated peace which would result in the creation of a Palestinian state which would live peacefully with Israel. 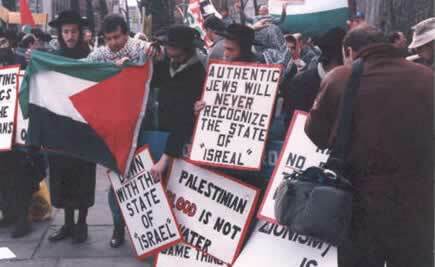 Such talk was almost never heard in the ‘70s or the ‘80s when I had first met Palestinians. 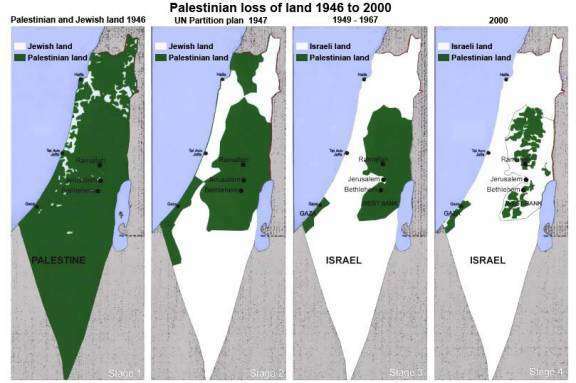 We engaged with Palestinians and encouraged them…. A major change in Palestinian doctrine came at the Algiers meeting of the Palestinian National Congress in 1988 when an aide of Yasser Arafat’s, Bassam Abu Sharif, published a paper, with official blessing, that called for the creation of two states, the recognition of Israel, and peace between them. At first, Washington was skeptical and paid little attention, but this was a seminal document that reflected an important shift in Palestinian thinking. The Intifada was the impetus for this change. The Palestinians in West Bank and Gaza, for the first time, began to assert themselves with the external PLO. They were in constant touch with Arafat and the PLO leadership and were urging them to be more creative and to seek a political solution with the Israelis. 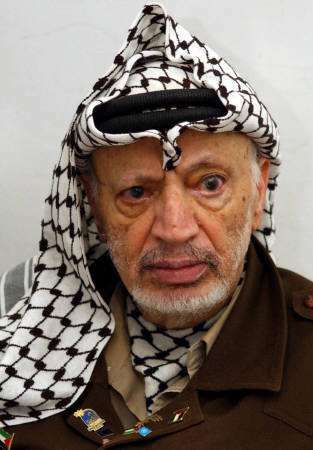 Arafat and his leadership reacted positively, recognizing that they had to be responsive to their constituents in the occupied territories who had initiated and were bearing the brunt of the Intifada. A new synthesis emerged in the PLO that led to its commitment to forswear terrorism…and to the beginnings of a U.S.-PLO dialogue in Tunis. That dialogue was suspended when the gang of Abu Abas, a radical member of the PLO executive committee, staged an abortive attack against Israel on the beach at Herzliyya, near Tel Aviv. To summarize, the Intifada created real political movement on both the Israeli and Palestinian side in the direction of accommodation. It was an important event in the history of the conflict and the peace process…. There wasn’t an elected or formally recognized leadership structure in the West Bank. The old municipal leadership had been undermined by Israeli deportation, and the Israelis discouraged the emergence of other leaders by arrests and deportations. This lack of a coherent recognized political structure on the inside made it difficult to find the points of authority and key interlocutors. 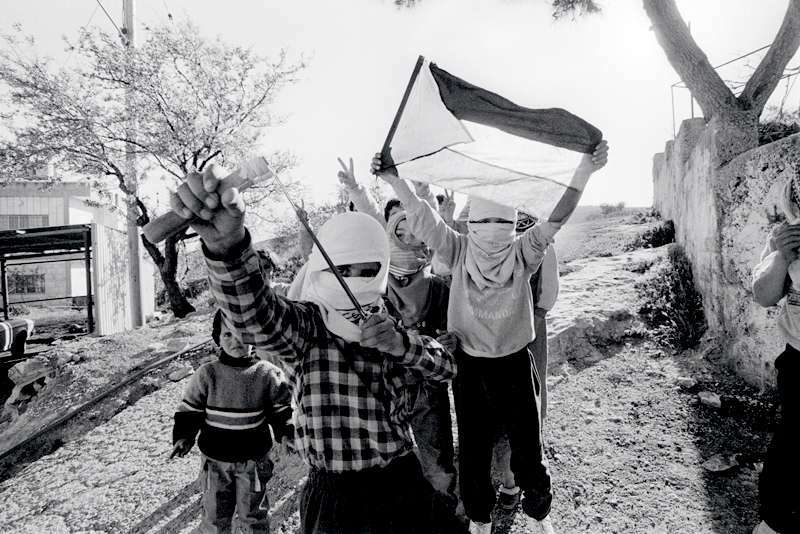 The Intifada leadership were young people who were unidentified and carefully concealed. There was an overt tier of respected pro-PLO Palestinians, however, including journalists, lawyers, doctors, businessmen, notables, and political figures like [Palestinian politician] Faisal Husseini who were influential and served as a kind of local leadership. We saw these people regularly. They and the younger clandestine Intifada leadership were all trying to persuade the PLO to move further toward compromise. There was chronic rivalry among Palestinians, as there had been historically, that threatened their unity and sense of purpose. This rivalry, based on regional and clan ties, weakened the cohesiveness of the community and its ability to deal with their situation. Arafat and the external PLO encouraged this rivalry, since they did not want strong political leaders to emerge in the occupied territories. Disunity was a constant problem when we had American visitors either from the Congress or the executive branch who wanted to talk to Palestinians. Our job was to invite Palestinians who have some stature and who might in some way be representative to meet with Americans. But because of rivalries, it was not always easy to get a group of Palestinians who would come to meet with senior Americans. Often they were interested in who else was coming. That was part of our burden in the consulate general, but we generally succeeded. We had to work very hard with the Palestinians to identify a team of Palestinians to meet with Secretary Baker when he began his round of diplomacy. Most Palestinians viewed the U.S. as partisan and pro-Israel, and this complicated our relations with them, but most realized the value of contacts with the consulate, and during my first year in Jerusalem we had superb access. 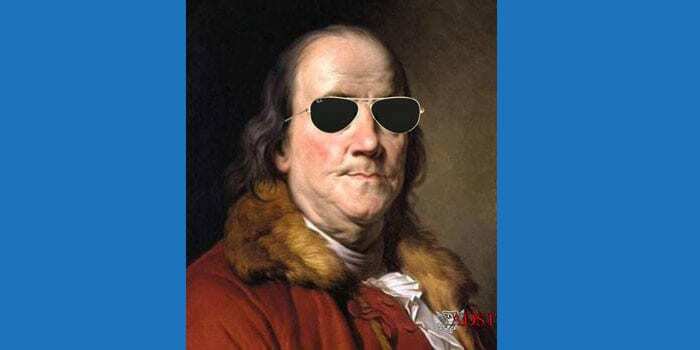 However, after the U.S. veto of the Security Council resolution following the killing of the Palestinians at Rishon Lezion and in Gaza in the midst of the Intifada, the most prominent Palestinians decided to boycott all further contacts with Americans. This interrupted some of our contacts, but we stayed in touch with many others and with intermediaries of the boycott group…. The only relationship we had with Israeli officials was with the municipality of Jerusalem….Having worked earlier in Israeli affairs, I had friends in the government of Israel and occasionally they would come to my residence, but they did so after hours. There was no formal relationship. Israeli doctrine of the indivisibility of Jerusalem and permanent Israeli control of Jerusalem was vigorously asserted, and the Israelis resented the fact that the Americans had an independent diplomatic mission in Jerusalem that reported directly to Washington, while we maintained our embassy in Tel Aviv. There was always tension there, but it has existed for many years. By and large, Israeli diplomats were professionals, very sophisticated people. They generally handled this in a civilized way.